After lunch we strolled down to Newcastle quayside and popped into The Cycle Hub for a coffee and some cake. 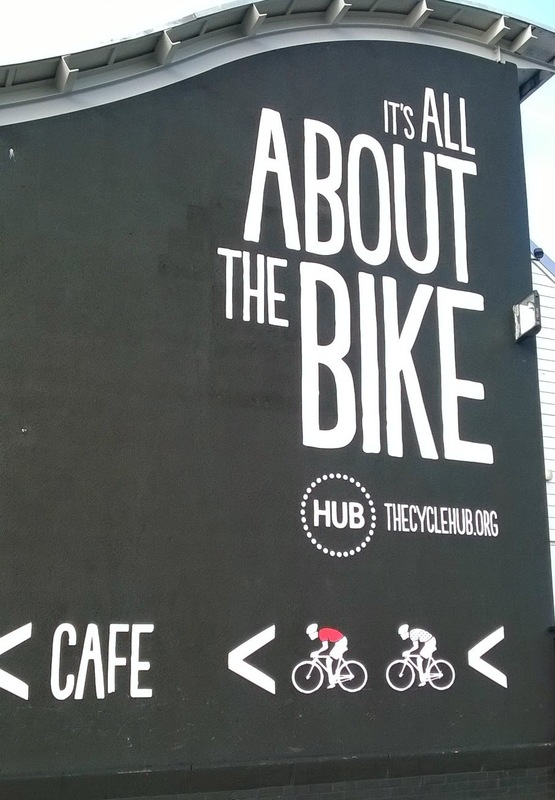 Lack of wheels does not mean you are any less welcome into the Hub where you can find a cycle repair shop and bike hire as well as the cafe. 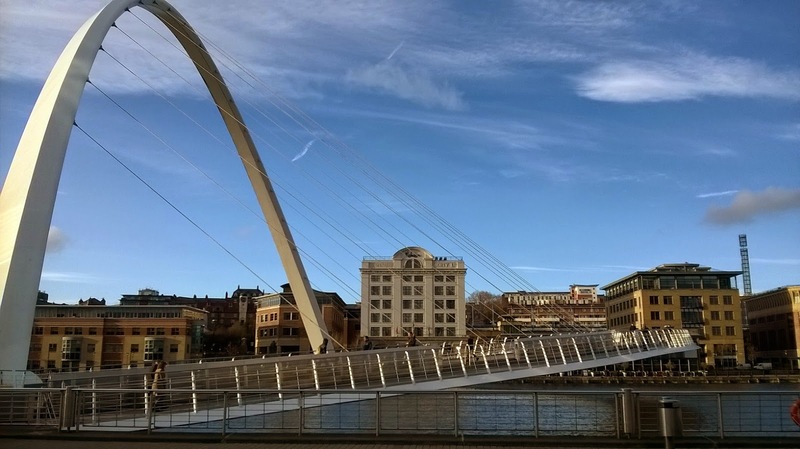 ...before crossing the fantastic Millenium Bridge over the River Tyne to reach Baltic on the Gateshead of the river. 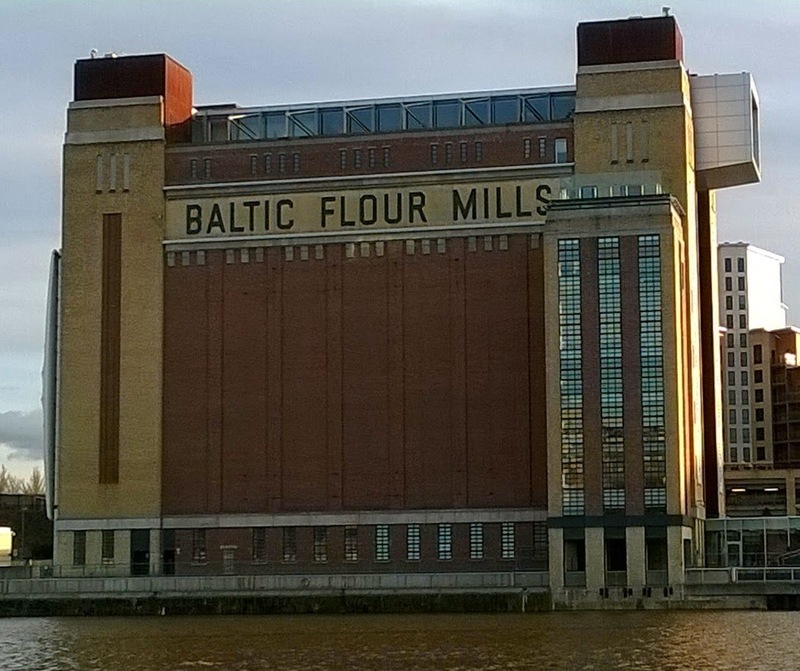 The magnificent Baltic building is free to enter and although it used to be a flour mill it's now a major international centre for contemporary art housed over several floors. The work of two artists are currently on display in Baltic - and although I usually enjoy contemporary art, the exhibitions of work by Jason Rhoades and Graeme Durant were quite challenging! 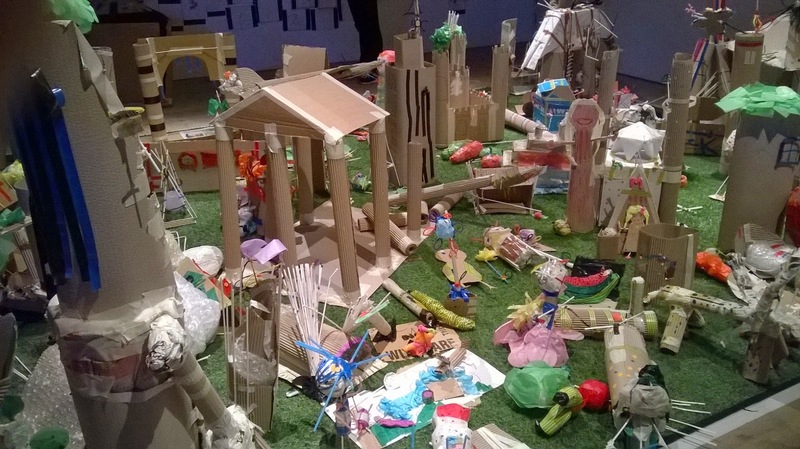 What was fantastic though was the display of sculptural work produced by children inspired by Graeme Durant's exhibition...I preferred looking at the children's work.